Flipping through the pages of Virginia Business’ first issue, published 30 years ago in March 1986, it is interesting to see how times have changed as well as some things that remain the same. In 1986, Virginia was readying itself for the economic impact of the Gramm-Rudman-Hollings Deficit Reduction Act. Congress was gridlocked. President Ronald Reagan was a year into his second term of office, and the federal budget deficit was, in dollar terms, the largest in history. The term “budget sequestration” was first used to describe parts of Gramm-Rudman-Hollings that required mandatory across-the-board spending cuts if certain deficit reduction targets were not met. The Supreme Court later determined that the act was unconstitutional, and its legislative successors failed to prevent large deficits. 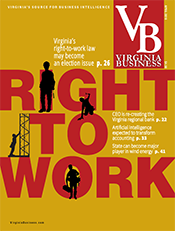 Nonetheless, in 1986 Virginia recognized its economic dependence on the federal government and was bracing for the worst. Money was also a concern in state politics in 1986. Gov. 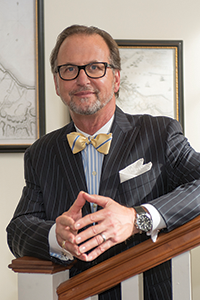 Gerald Baliles (see our recent interview with him) had just taken office after a record-setting campaign that led to the suggestion that he might well be called the “$4 Million Man.” He was the first Virginia gubernatorial candidate to raise more than $4 million in a single campaign. Compare that to the almost $35 million raised by Gov. Terry McAuliffe in 2013. Times have changed! During his term, Baliles put the commonwealth’s focus on transportation and economic development, while his predecessor Chuck Robb had focused on education. All three issues remain important today. Fairfax County was big news in 1986, not because of technology but because of real estate. Fairfax real estate was hot. Tysons Corner already had more office space than downtown Richmond. Tysons II was just being developed. 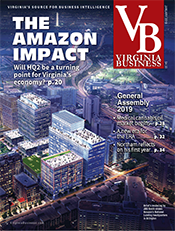 Master plans were underway for Westfields, a 15 million-square-foot business park near Washington Dulles International Airport. 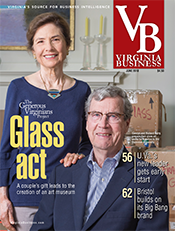 The inaugural issue of Virginia Business also had an article about wine. Specifically, it looked at local executives and their cellars with wine from France, Italy, Spain and California. There was no mention of Virginia wine in the story. I guess we missed that one. The commonwealth only had about 30 wineries in 1986. Today, it boasts more than 250. Turning from the editorial pages of our first issue to its advertising pages, gone are brand names like Sovran Bank, 1st American Bank, United Virginia Bank, Virginia Federal, Wheat First Securities, Peat Marwick, Arthur Young, MCI, Contel, Johnson & Higgins, Harrison & Bates, Morton Marks & Sons, and Chasen’s Business Interiors. Still with us after all these years are Lingerfelt Development, Strange’s Florists, The Martin Agency, Philip Morris, CSX, McLean Faulconer and Chas. Lunsford Sons & Associates. Replacing advertisers that have merged or disappeared over the years has always been a challenge. 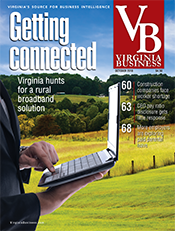 The first issue of Virginia business ran a total of 80 pages, including 31 pages of advertising. Initially advertisers were required to commit to a minimum of four issues of the magazine. Thirty years later, the issue in your hands today runs a total of 156 pages, including 40 pages of advertising. 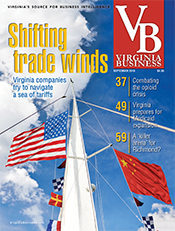 Perhaps this doesn’t match the growth rate of money in politics, but Virginia Business has clearly done more than replace the brands that have disappeared over the years. 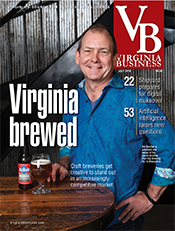 In keeping with changing times, we’ve also added a robust set of advertising-supported digital products, as well as a regional monthly magazine, Roanoke Business. And today we are more flexible, accepting one-time ads. 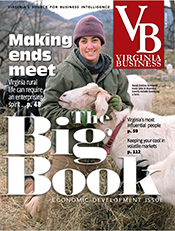 Moreover, there is a new economic landscape in Virginia. 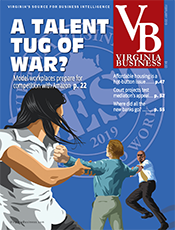 Categories that went unmentioned in this magazine’s first issue, such as higher education, technology, the Port of Virginia, health care and business law, are now frequently featured. 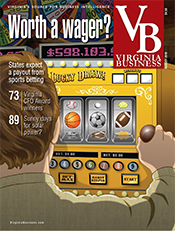 In addition to federal spending, these are the new drivers of Virginia’s economy. 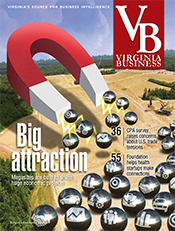 Take a look at everything we've packed into the 30th Anniversary issue of Virginia Business. 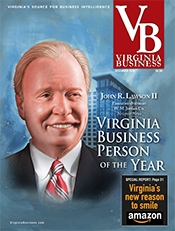 It’s a sourcebook for sales and economic development, packed with lists of the major players in dozens of industry categories, as well as our annual list of the Most Influential Virginians, including what they were doing 30 years ago. If you are interested in a laugh, we’ve included old photos of our magazine staff, with information about where we were 30 years ago. Yes, Virginia; a lot has changed. But our misson remains the same, Virginia Business is your source for business intelligence. Enjoy.